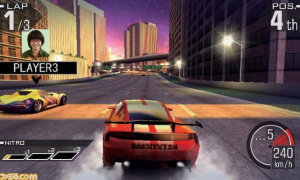 Last October, we brought you the list of launch window titles for the Japanese release of the 3DS sytem, and although not every title will have a guaranteed spot next to the handheld when it launches on 26th February, racing fans will be greeted at some point with Namco Bandai Games' Ridge Racer, of which Famitsu has published a few tidbits. As translated by AndriaSang, the game will once again have the lovely Reiko Nagase as the digital mascot and has already appeared on official artwork for the game. What's even more interesting is the ability for players to snap a photo of themselves and use the picture as their profile icon during multiplayer races. Fans can expect to see the return of old but popular courses, as well as some new ones, and the vehicles will get the same treatment too. Ridge Racer on the 3DS will also support the StreetPass mode, although further details have yet to be confirmed. Looks quite a bit better but still really rough. 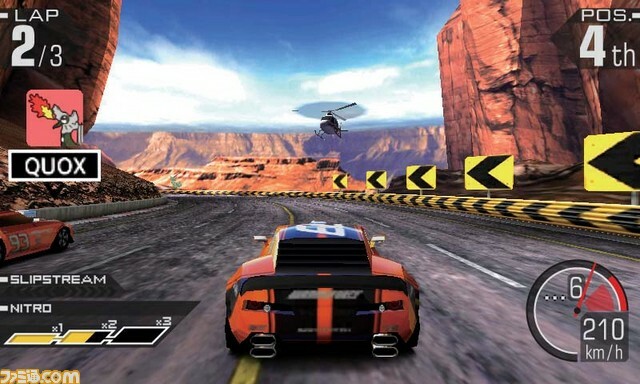 Asphalt looks quite a bit better, which should probably be embarrassing for Namco. Go Speed Racer, go speed racer, go speed racer go! "Reiko Nagase won't be the only pretty face in-game"
this may be a contender for best game on the 3DS graphics wise. Pretty impressive. Although graphics arent everything, so im waiting for reviews. Noez! I'll keep getting distracted from my beautiful face! Is it sad all I can think about when I hear Ridge Racer is the Sony conference when they unveiled the PS3 lineup and price? I can't buy the game for that reason alone. Who here would rather have a new MarioKart than this? I'm with XCWarrior. Riiiiiiiiiidge Raaaceeeeer! Ah this game looks like it's shaping up well! But I hope it will play well. Since we're Nintendo fans and Nintendo Nintend-owns Sony, I won't stoop to the levels of their peon personel who introduce Ridge Racer in the whimsical fashion. I, for one, will opt for something a little different. I think they should take a 3D photo of you and put that into the game. Not sure if that's possible, though. The PSP and Iphone version looks better than that. Nice to see Namco upped graphics to at least decent levels, so that they dont have to be ashamed anymore...getting better, but could be even better. I like the face feature. 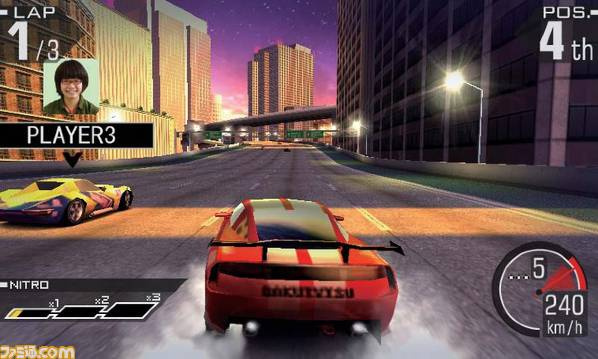 Why do we get excited for Ridge Racer? Every entry in the series I've seen over the last few years have ranged from sub-par to pretty straight-up awful.